The 1st Battalion, 16th Infantry arrived at Vung Tau, Vietnam, on 10 October 1965 with the 3rd Brigade, 1st Infantry Division. The battalion was initially moved to Camp Ben Cat in Phuoc Vinh Province north of Saigon. The division wasted no time getting this newly arrived brigade into the fight in Operation BUSHMASTERs I & II along Highway 13 between Lai Khe and Ben Cat in Phouc Vinh Province and around the Michelin Rubber Plantation. The BUSHMASTER operations were followed by MASTIFF in February 1966 and the division-level ABILENE mission to find and destroy the 5th PLAF Division. ABILENE was followed in rapid succession by Operations BIRMINGHAM and EL PASO I, II, and III. On 9 July during EL PASO II, the 1st Rangers participated in the Battle of Minh Thanh Road. After he EL PASO missions, the battalion next took part in Operation AMARILLO in August near Lai Khe, and Operations TULSA/SHENANDOAH in October and November. The latter mission was designed to bring the 9th PLAF Division to battle in War Zone C, but the enemy declined to take the bait. Operation ATTLEBORO once again saw the regiment’s two battalions operating on the same mission to find and destroy the 9th PLAF Division, this time northwest of Dau Tiang. The last mission for the battalion for 1966 was Operation HEALDSBURG near Lai Khe in December. 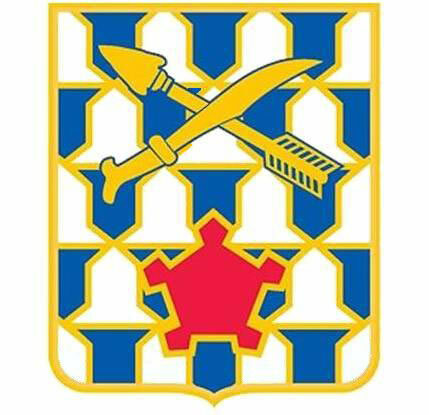 In January 1967, the 1st Battalion next joined in Operation CEDAR FALLS, a major effort conducted by the 1st and 25th Infantry Divisions, the 173rd Airborne Brigade, and the 11th Armored Cavalry Regiment in Military Region 4, known as the “Iron Triangle” and the Thanh Dien Forest. CEDAR FALLs was followed by the enormous and extended Operation JUNCTION CITY. The 1st Rangers participated in two major fights during JUNCTION CITY: Prek Klok and Ap Gu. In the former battle, Platoon Sergeant Matthew Leonard from B Company was mortally wounded while demonstrating indomitable courage and superb leadership. For his actions he was awarded the regiment’s tenth Medal of Honor. The battalion next experienced two additional significant firefights during Operation BILLINGS north of Phuoc Vinh in June. These were the battles of Landing Zone (LZ) Rufe and LZ X-Ray. During the latter action, the Reconnaissance Platoon of the 1st Battalion heroically withstood an attack by a battalion of the 271st PLAF Regiment and prevented the battalion perimeter from being overrun. BILLINGS was followed by Operation SHENANDOAH II north of Lai Khe in October which once included both Ranger battalions and culminated the major operations of both for 1967. The year 1968 was an eventful one for the 1st Battalion. Starting in late January, the battalion, along with almost the entire combat force of U.S. Army, Vietnam (USARV), engaged in the Tet Counteroffensive designed to defeat the massive Tet Offensive of 1968. After Tet, the battalion successively partook in Operations QUYET THANG and TOAN THANG. These operations held the battalion’s attention most of the year until late 1968, when the 1st Rangers underwent a major change. On Friday, September 13, 1968, the "straight leg Infantry" 1st/16th of the 1st Infantry Division at Lai Khe, "swapped" colors and divisions, with the 5th/60th (Mechanized) of the 9th Infantry Division at Dong Tam, in the Mekong River Delta. The 1st Battalion became a mechanized infantry unit which it has remained ever since. Because of this change, the battalion soon adopted the nickname “Iron Rangers.” Throughout 1969, the Iron Rangers were involved the Vietnamization process which was designed to start turning over the planning and conduct of the war to the ARVN. Even so, the battalion joined in a number of combat operations such as BEAR TRAP, FRIENDSHIP, KENTUCKY COUGAR, IRON DANGER, and TOAN THANG IV. During KENTUCKY COUGAR in August, the Iron Rangers ran into a battalion of the 272nd PLAF Regiment near An Loc in Long Binh Province and in an afternoon of hot fighting, accounted for 29 enemy KIA and an unknown number of wounded. During the year, the battalion accounted for an additional 426 enemy soldiers killed or captured even though the ARVN were supposed to take the lead for operations. The last months in Vietnam saw the battalion working closely with its ARVN counterparts as it concurrently prepared to end its mission and redeploy to Fort Riley.